Contact any of the above Affiliates and Endorsed providers and mention that you are an ASHI member for a special discount. 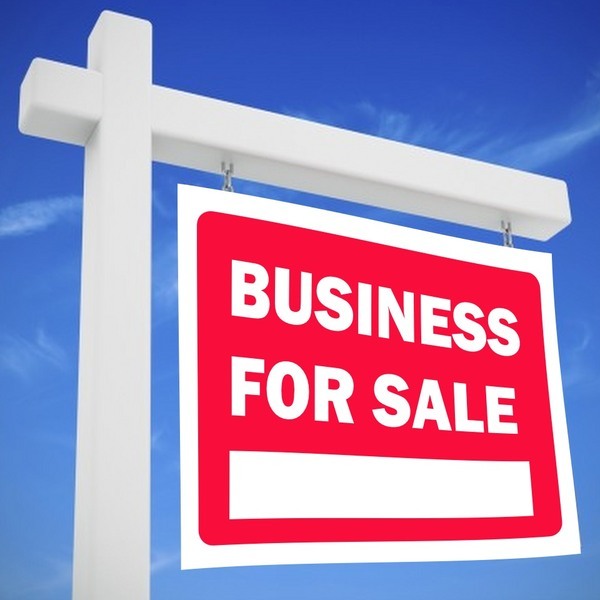 Do you know of anyone that wants a successful franchise to inspect where it’s nice and warm with NO SNOW, most houses are between 10 and 35 years old with a lot of newer communities (15 years or less old), quite a few condominium inspections (interior only) and a lot of them are ocean front, with an awesome reputation since 1992? We need to be with my Dad fairly quickly and are offering a really "sweet deal/bargain" for someone to purchase so we can be with him. If you know of anyone, please call Edwin Pena at 754-368-5192. 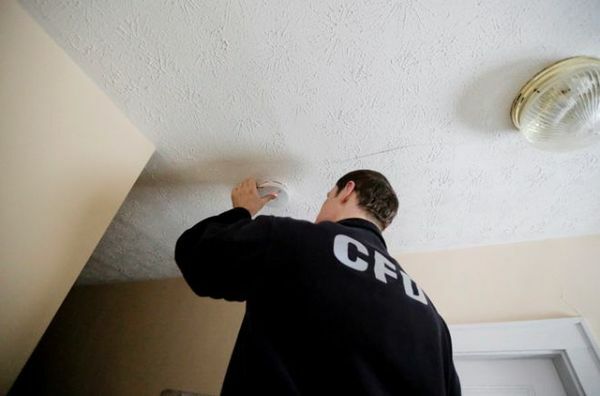 Ohio has become the fifth state to require photoelectric smoke alarms in new homes. In the state’s first official acknowledgement that traditional ionization alarms are insufficient, new building codes require both ionization and photoelectric alarms on all floors of homes. The rule applies to new homes. It does not affect existing homes unless a renovation or addition involves the two areas where detectors are specifically required: bedrooms and hallways outside bedrooms. For years, experts have called for photoelectric detectors instead of — or in addition to — ionization detectors. Studies have shown that photoelectric devices are better at detecting smoldering fires, the most common home fire. Ionization detectors are considered better at detecting flames, although they are also more likely to be triggered by harmless kitchen smoke or steam. “After doing the research, it was determined that both technologies are better than one,” said Debbie Ohler, staff engineer with the Ohio Board of Building Standards. Skip Walker, a California home inspector who has helped lead calls for photoelectric alarms, said he doesn’t believe ionization alarms are necessary, but nonetheless welcomed Ohio’s code change. Walker hopes other states follow Ohio's lead. The change comes with a cost to builders and consumers. A basic hardwired photoelectric detector at Lowe’s costs $16, about three times the price of a comparable ionization detector. Detectors featuring both technologies cost $50. The change took effect Jan. 1 but has not been widely reported. At a recent meeting of municipal code officials, a few representatives said their municipalities had started enforcing the new rule but several said they were not familiar with the change. 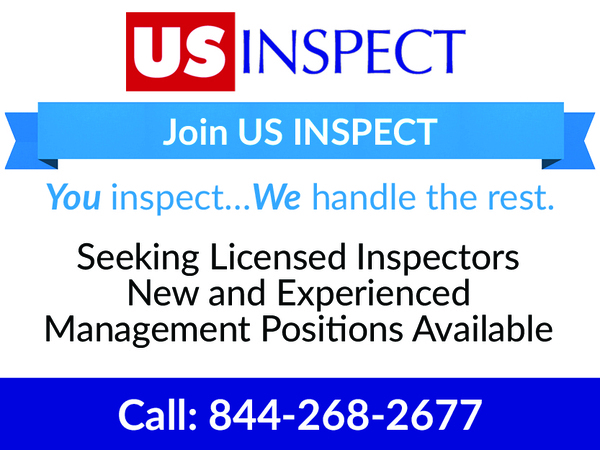 Ohler said the change was also prompted by the need to reconcile discrepancies between the state building code and some Ohio municipal codes — including Cincinnati’s — requiring photoelectric detectors. Originally seen in The Columbus Dispatch on March 27, 2016. Our chapter, Tri-State ASHI, is working to continue our fundraising efforts for Blaine's family. 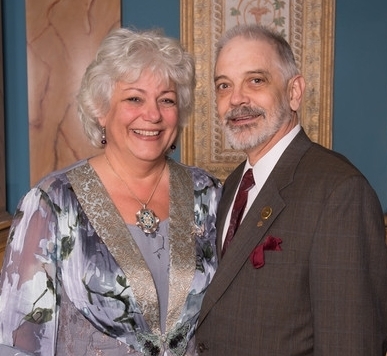 As a Chapter, we have made a significant contribution, but feel we can do more. We are planning a social outing in April to seek additional donations directly from Chapter members and friends to Blaine's GoFundMe Site. Also, we are producing a slick (orange!) polo shirt (with the generous help of Dee Goldstein) for members and friends to purchase and proceeds would go to the family. The family has requested all attendees at Blaine's Memorial service wear orange as it was Blaine's color of choice. We hope many Board Members across the nation will purchase, maybe wear to an upcoming meeting, take a photo which we can send to the family showing our support and raising some money. Hopefully some Chapter leaders will do the same. 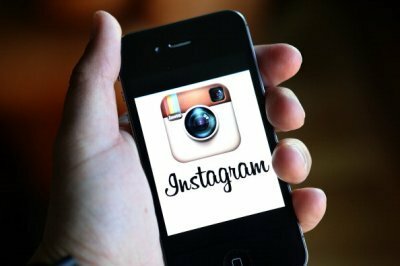 Already the go-to social network for photo sharing, Instagram is beefing up its offerings to continue its rapid growth by focusing on what’s become an all-encompassing trend on social: video. The company announced on Tuesday that it’s rolling out an update that will allow users to post videos lasting up to 60 seconds. Even though the longer video format is available to some, it will still be a few months before the feature is widely available, the company said in a blog post. face-to-face training on every aspect of the FHA Rehab Loan Process form. Quick Tip #49: Foundation Problems? Check Your Gutters. In homes with basements and crawl spaces, we always need to be concerned with water flow from the roof. 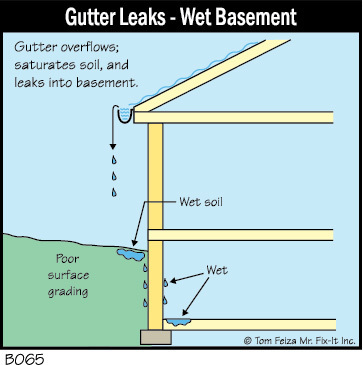 An overflowing gutter will dump water next to the foundation and create a water leak into the crawl space or basement. In homes with concrete slabs, water next to the foundation can cause movement and cracking, which are bad things for a slab. So, don’t let the gutters overflow. Trees can drop needles, seeds and leaves that can make a real mess in the gutters. Establish a routine for cleaning the gutters that addresses the needs in your yard. Also make sure downspout extensions dump water away from the foundation. They should extend at least 3 feet and preferably 6 feet to an area where the water will naturally drain away from your home. One of the best inspection techniques is to observe your home during a hard rain. Gutters should not overflow, and all surface water should be directed away from your home. Water pooled next to a foundation is almost always the cause of a water leak into a basement and can result in structural damage to walls and slabs. Maintenance is easy and simple – make it a priority. Receive up to $225 per cabin free onboard credit* when you book a cruise vacation between April 5 and April 14. Royal Caribbean: Receive up to $200 per cabin onboard credit when you book a 2016 sailing in an oceanview cabin or better. Book by April 13. Norwegian Cruise Line: Receive up to $75 per cabin onboard credit when you book any 2016 booking in an oceanview, balcony or suite cabin. Book by April 10. Also, ask about great sales to Alaska and Europe this summer on Princess Cruises. Book by April 14 and get your Ira's Cruises/CruiseOne exclusive onboard credit as well! *Onboard credit is yours to spend aboard your ship. Please note that onboard credit amounts are dependent on cabin category. Ask us how you can start saving today on your dream cruise OR land resort vacation! Don't forget to mention that you're an ASHI member! An infographic is a way to present information, data, and knowledge in a visual manner. They have been popular for several years and have become extremely popular in the past several months as a “safe” search engine optimization method. Aside from the SEO benefits of infographics, they also do a great job at building brand awareness and getting a specific message across. Consumers do not want to read a lot of information and it is a fact that the majority of people absorb information better if it is presented in a visual manner. Businesses are using infographics as a way to engage their target market and drive traffic to their website. After all, isn’t the point of SEO and online marketing to drive laser targeted traffic to a website that results in conversions? When an infographic is done correctly with the right content, design, and layout it can provide the serious return on investment (ROI) that every business owner desires. And, call us crazy, but real estate agents use infographics on Pinterest all the time. And two of the many infographics they post about are home inspections and home inspection checklists. UNIQUE: There are many infographics that look the same and consumers will not engage with an infographic if it has the same look as the other 2,346 that they have seen. Remember, the goal of the infographic is to get consumer interaction as well as other websites to share it. SIMPLE: The trick to creating a good infographic is to make it visually appealing while keeping it simple at the same time. If there is too much going on many people will lose focus and they will not get the “message” you are trying to get across. This is visual marketing at its finest and a great opportunity to attract a whole different customer base. Many people try to be impressive with ridiculous statistics and data, but that can sometimes backfire. CREATIVE PACKING A PUNCH: This is where the design comes into play and it needs to punch the reader in the face when they look at it. Kind of like getting a big bucket of ice cold water to the face. “Hey YOU! Check this out!” This has everything to do with the content and message as much as it does with the actual design. The combination of these elements results in the success or failure of the creativity. EASILY SHAREABLE: Infographics are great because they are often shared across social media and other websites. Once it is posted on the website the business should share it across their social media platforms (Facebook, Twitter, Pinterest, etc) and then make sure that the post has a social sharing widget installed allowing the readers to quickly share it across their social profiles with a click of their mouse. Another good idea is to provide the html code so other websites can display the infographic with a link back to the blog post. This is great link bait because websites benefit from content that is engaging, and you benefit by gaining natural links. By the way, the infographic above was found on Angie's List.